A refrigerator is an electrical device that provides convenience in storing foods and other perishables effectively at home. It helps in ensuring that the dishes or cuisines being prepared stay fresh for consumption later on. It is because of the refrigerators that homemakers shop for once or twice in the entire week. As long as the fridges function properly, we hardly worry about the consequences if it goes malfunctioning. But when a problem arises, we are often taken by storm about the rate at which the foods get spoiled. Most of the times, the issues related to improper cooling has been because of the problems related to a thermostat. Think of the situation when you find your frozen eatables are warm. The problem has been because of the thermostat. Need not to worry. For fridge repairs in Seven Hills, call Commercial Fridge Repairs! It has been observed that in most of the cases of issues, the owner goes for replacement. 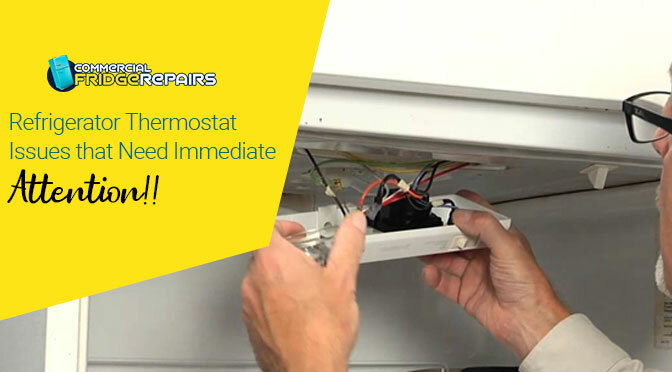 However, according to the professionals or experts, thoroughly assessing the reason of the fault (in this case the thermostat) and then assuming whether it can be repaired or not should always be the first step of action. If the fault can be solved, then hiring the professionals is always going to be effective. 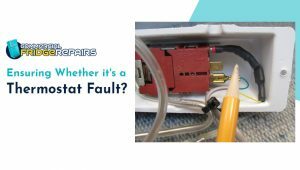 Ensuring Whether it’s a Thermostat Fault? Beating around the bush when it comes to determining the fault is never acceptable. Therefore, to determine whether the fault is really with the thermostat or not, it is necessary to have a thorough visual inspection. According to the professionals from Commercial Fridge Repairs catering to budgeted fridge repairs in Ultimo, if the temperature inside the chamber of the refrigerator is abrupt then look out for if the dial is set properly or not. Reason being, it at times changes during the operation. In addition to this, keeping an eye on the consistency of the temperature is yet another crucial factor that needs consideration. If the temperature inside is too cold or too hot, then it symbolises that the refrigerator is having issues related to the thermostat. Some of the refrigerators have a different control system for the freezer and the compartment. Ensuring that both of them are functioning properly would always be the test of assurance that either one of them is properly functioning or both aren’t. Determining thermostat issues for the freezer compartment is quite easy. Experts coming for fridge repairs in Auburnlook out for the traces of ice if present. In addition to this, one can also look for evidence of ice melting away in a detailed way. Issues related to thermostat needs to be addressed immediately. To make sure that the stored eatables remain fresh for long, thorough inspection should be carried out frequently. The repair is never the same with all types of fridges. 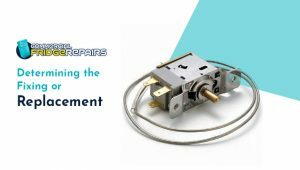 Every model has different specifications, and the professionals catering to the repair services take care of this and do the fridge repair accordingly.